At 11,060 feet above sea level, looking over what felt like the entire world, I realized what it would take to make me happy. 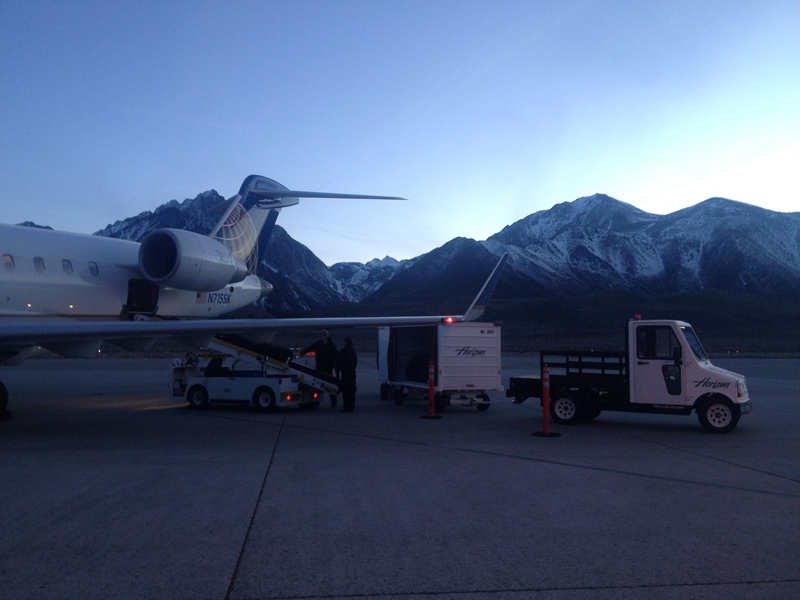 Last week (February 12-19) Courtney and I left for Mammoth Lakes California to go snowboarding. Courtney, being the dread headed, nature loving, snowboarding “badass” that she is; used to live in Mammoth and frequently left me wondering what that part of the country was like. As an East Coast Jersey Girl, I don’t think I was ready. 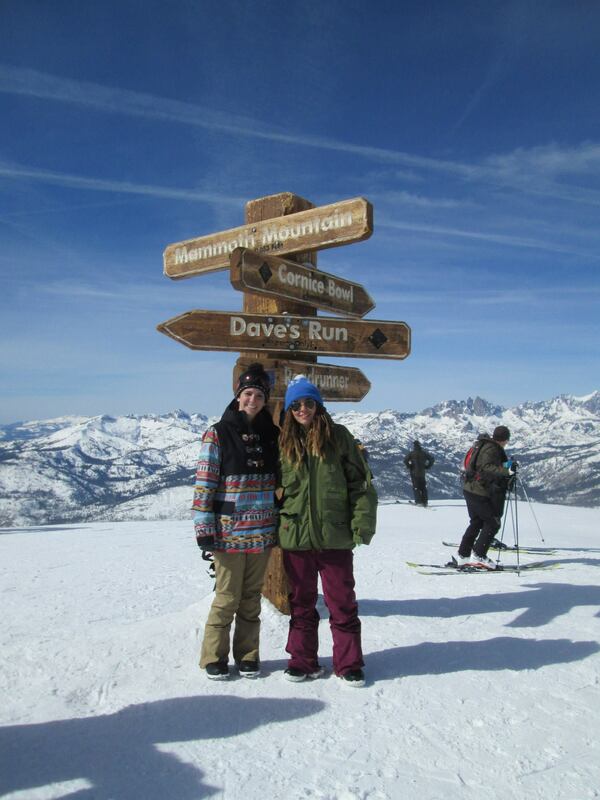 The Top of the World, Or Mammoth mountain. Growing up at sea level or below, I did not know what a real mountain looked like. Sure there are ski resorts around us, but I never realized that standing 800 feet above sea level just made you a tall hill. When I first learned to snowboard I went to Bromley Mountain in Vermont, standing 3,281 feet high that was the tallest thing I ever saw, but I never went to the top (so many regrets, but I think that saved me from breaking a few bones when I was just learning). 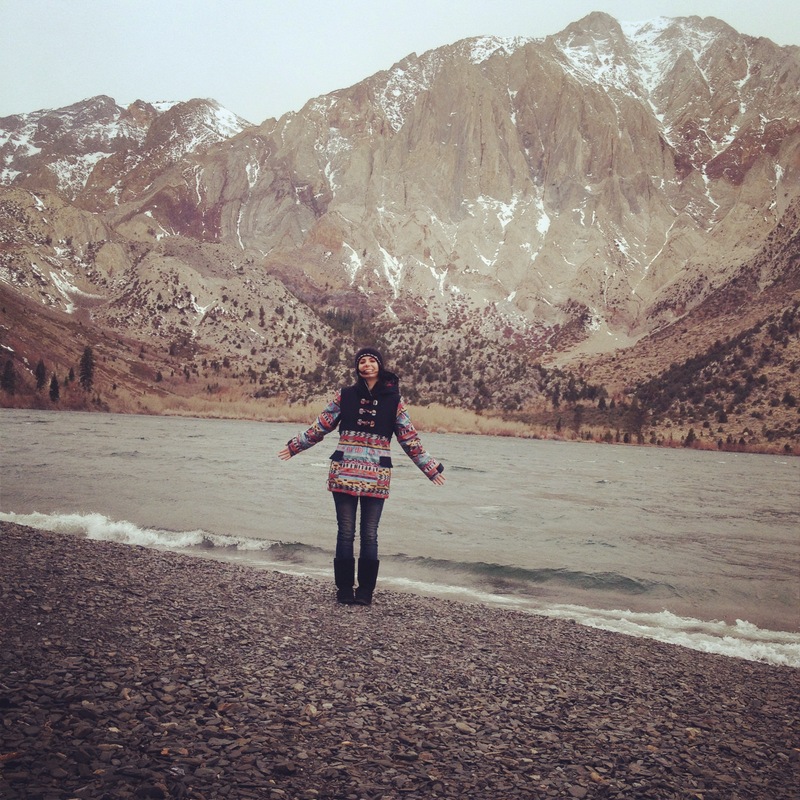 Arriving in Mammoth On Wednesday February 12 was a life changing experience for me. Never in my life have I felt so small. These snow covered giants putrid from the dessert making you focus all of your attention on them, and what small bit of attention is left goes to the beauty of the nature around you. 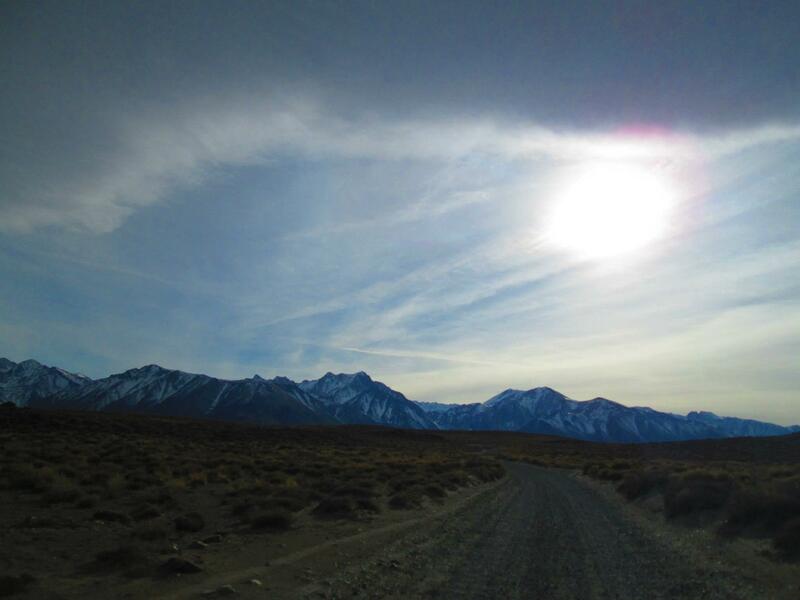 The dessert, so vast and so wide, makes you wonder how anyone found what wonders you see in front of you. The pine trees, whose height puts the Rockefeller Center tree to shame, towers over everything, and watches the sunrise with the mountains before everyone else each morning. When the mountain air reaches your nose you wonder why anyone would want to live in the city. The clean fresh air tickles your nose with the smell of Christmas pine and snow, bound to bring you back to those holiday candles you spent hours in the store picking out. The first full day there we went snowboarding. I have to admit, this terrified me for months leading up to this trip. I am used to a hill, I trained on a hill, I practiced on a hill, and this was a mountain, literally a mountain. But soon my fear proved to be silly, the quality of the snow was unlike the icy east and I was easily able to descend the slopes with confidence and ease. Like my Vermont experience years before I never snowboarded down from the top, but I did go there. The world is in your eyesight, but lies just out of reach of your fingertips. I am born and raised a Jersey Girl. I have driven down route 195 going 90 miles an hour, windows down and music blasting, to reach the beach before the New York Bennys. I have laid in a drunken collapse in the sand with salt in my hair bullshitting about being famous one day. I have promised myself that I would never leave the Jersey lifestyle of not pumping our gas, giving the finger to those who look at us weird, and the beach that has put us on the map. I have promised myself I would never leave, until now. I have traveled before, I have been to small islands and major cities, I have been to different countries and different continents, however this is the first time I really felt small. There is so much out there to see. I want to travel the world. I want to work on a snow covered mountain top for a few seasons of my life and I want to be able to determine what makes each mountain range different. I want to see islands, and be able to jump off a boat when I feel like a swim with the dolphins is in order. I want to see the world, and what makes it so big. This vacation made me realize that while I am 100% happy sitting on a beach in Jersey drinking vodka out of a water bottle, there is so much more I have not seen. All of this dreaming big does come with an anchor, my car lease. Okay, I admit, that sounds silly. I am giving myself until the end of my car lease or 33 months to save up money to make the first move of my life. I am aware that I will have to leave my cushy desk job and start over somewhere completely different, and this scares me, but there is so much the world contains that I have never seen. So cheers to new beginnings to the rest of our lives. A guy at work asked me what is up with the alcoholic cupcakes lately. I have no idea. I cheated again using a box mix, sorry “home-made-to-the-death”ers. 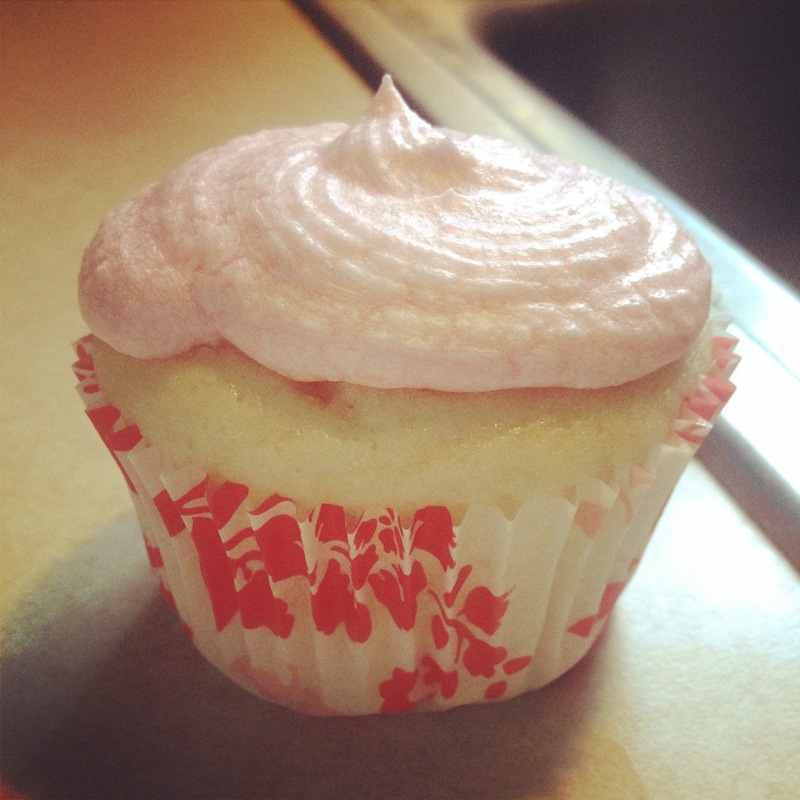 This cupcake comes out super light with a mild champagne flavor. I used Yellow Tails Pink Champagne, but you can substitute it with any kind, try different flavors for an interesting combination. Dump the packaged mix, champagne, Veggie oil and egg whites into a large bowl and mix until the lumps are gone. Fill cupcake wrappers 3/4 of the way with batter. Bake 17-20 minutes or until a knife inserted in the middle comes out clean. Let the butter sit until soft or room temp. Mix the Butter with a stand mixer, adding the powdered sugar one cup at a time. Mix in the champagne and the vanilla. If the frosting is too thick add more champagne. **Note** After mixing let this frosting sit in the fridge for at least 30 minutes to harden. The champagne makes this have a weird texture, but once refrigerated this loses the weird consistency.